The island of Crete is divided into three regions. 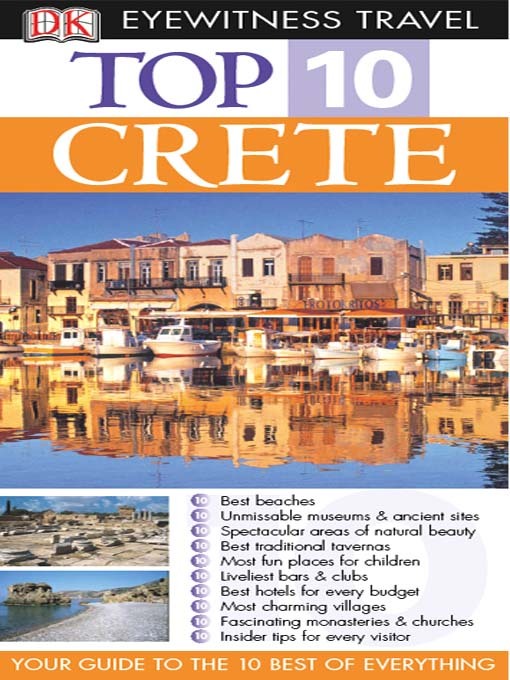 Highlights of the central region include Crete's capital, Irakleio, as well as the archeaological sites of Knosos, Phaestos, Gortys and the resorts of Malia and Chersonisos. The western region profiles Rethymno, Chania, and Samaria Gorge while the eastern region focuses on the holiday resort of Agios Nikolaos.